On this weeks show we’re looking at how the art of flair bartending is making a huge comeback behind premium bars and how you can be at the forefront of this trend. Over the past few years, while flair has still flourished in the competition scene with the moves getting consistently harder and more technical, seeing real world working flair to a good standard in the wild seems to have declined. Of course there are some brands, most notably in the UK TGI Friday’s which have always promoted the skill of their bartenders, and as I see it helped to retain their skilled bartenders with their excellent Bartender Challenge which has gone from strength to strength over the years. The UK final of the Bartender challenge in fact took place this week in Liverpool, with Russell Ward taking the top spot once again and securing a place at the World Championships in the USA later in the year. All the best to Russell with his training and we’ll try to get him on the show soon, we tried last year too but couldn’t work out the dates. 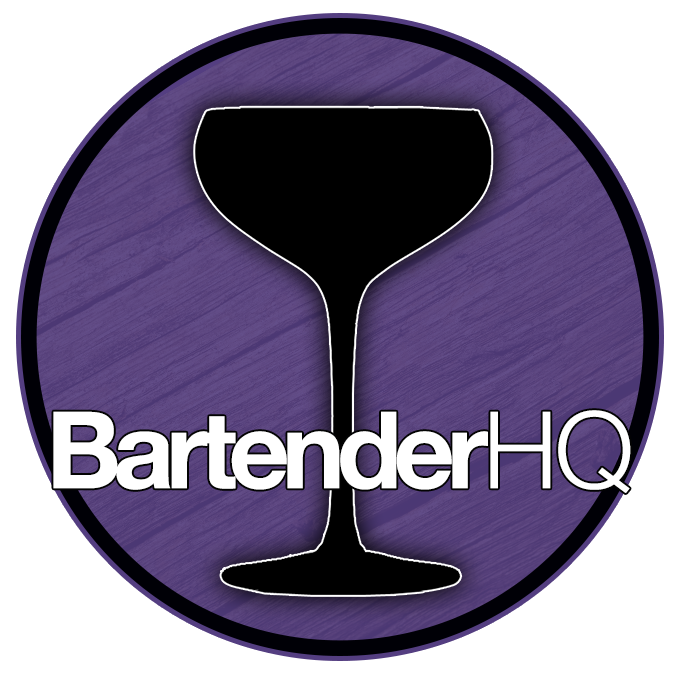 On that subject, the BartenderHQ Podcast is now just over a full year old! We launched the podcast as audio only back on September 10th 2014 and I think we’ve only missed one or two weeks since then. Of course over the year while I’ve been learning more about the tech side of things we’ve added the video recordings to YouTube, we’ve had a few interviews (which I must say are my favourite episodes) with the guys from A Bar Above’s Mixology Talk podcast, Brian from the Bartender Journey podcast, Roadhouse World Flair Champion Tom Dyer, Russell Davis from the Bar Rescue TV show with Jon Taffer and Louie La Vella the Nightlife Marketing expert. Its been an awesome year and we’ll be doing even more great stuff in the coming years – coming up soon I have guests scheduled from one iconic brand in the spirits space, another from a brand new spirit brand where we’ll talk about how he created his own spirit from scratch and much more. We also launched the Flair Project a couple of months ago, our crowdsourcing project to create a flair routine from moves submitted by bartenders all over the world. I entered the first competition of the project a few weeks back, the Masters of Flair and took the honour of Best of the Midlands, so look out for The Flair Project kicking into high gear next month as my change in job lets me spend far more time on both BartenderHQ and The Flair Project. I’m still looking for more submissions, so if you want to help out and be a part of The Flair Project, shoot your video, don’t worry about the quality, smartphone footage is absolutely fine, just please make sure its landscape! Then drop me an email with a link on David@BartenderHQ.com and you’ll be a part of it! There have been videos going pretty viral on Facebook of a guy by the name of Evgeniy Shashin who has an amazing style with his flair, in a style that I’m calling “Craft Flair Bartending”. Its really paired back and has all the huge showy moves taken out in preference of small, incredibly precise jigger bumps, spoon flourishes, nesting of shaker and cheater tins and super accurate pours. In a second video, you’ll see him performing 8 short and sweet moves with pairs of shakers and cheater tins, each unique and almost impossible to follow. Its a kind of stealth flair that if you were in the bar relaxing and talking to a friend you might catch out of the corner of your eye and wonder what you just saw. The guy is inspirational, and he’s getting a huge amount of attention online at the moment. This kind of flair is really interesting to me as its all super usable. I’ve talked in the past about the way flair is going, and it seems to me that the huge exhibition routines have very little to do with actually being a good flair bartender, in the sense that your guests at the bar will never see you doing these 6 tin 1 bottle splits while mixing them a nice Negroni for example. Its an incredibly impressive skill in itself, but everyone pushing what is possible in a competition environment doesn’t necessarily lead to better service or shows for our guests, especially when competitors are pre-pouring their drink ingredients into glasses before they perform to save time for another massive, ‘never to see the light of service’ move. When does Flair Leave Bartending Behind? When your moves that you use in a competition would have no chance of ever being used behind a bar during service, I think it stops being bartending and becomes pure flair. The point of flair bartending in the first place was adding flair to the process of bartending and entertaining your guests along the way. For many years there was the same kind of thought about the delineation between what was flair bartending and what was juggling – should three bottle cascades be penalised in competition bartending? There is certainly skill to being able to juggle three glass bottles, yes the grip is different to club juggling and the majority of bartenders would throw doubles where most jugglers would throw underhand singles with clubs. The three bottle cascade didn’t really progress the making of the drink, but it developed into a lot of the multiple item flair that we see today. Cascades also seemed to be more popular among the American bartenders than in Europe, though probably more thanks to the advent of YouTube and other online video, its now very difficult to allocate a local style for bartenders as the moves are all really out there to see. In London, specific competitions were even set up like the Old School Yard’s events which allowed only two items to be flared at a time to combat the rise of juggling and give more credit to smooth moves and creativity within the limits of the competition. Thanks Eddie Weights for creating that one! So what do you think? Will bartending niche down and have individual competitions for different styles of bartending within the heading of flair in future? Will exhibition flair become more of a sport (for lack of a better term) and begin to distance itself from the drinks making aspects of the industry? Should flair competitions also test the competency of bartenders and their skills or actually serving guests as well as how many items they can flair with? I’d love to know your thoughts! As usual guys, one of the best things about working in the bar industry is the people you meet and the social aspect, so please, don’t be a stranger! Join the conversation on our Facebook page and the Worldwide Bartender Community on Facebook, post your videos, I’d love to see them! Join us on Twitter and let me know what you think of the show. I’m going to be building a practice bar over the next couple of weeks so keep an eye on Instagram to see how that goes, and if there’s something you want to ask me, go right ahead and ask! You can leave a voicemail via the website, email me on David@BartenderHQ.com or post a video question on the Facebook page. If you’ve got a great story to share about your bartending journey or just want to give me a heads up on the best drink in your bar, I’d love to hear from you. Until next week, I’ve been David Sangwell for the BartenderHQ.com Podcast. Cheers! I like the idea of flair methodology where each move is involved in some practical aspect of making a high quality cocktail, which would also likely increase efficiency behind the bar. Such an approach separates itself from big move performance flair by focusing on the cocktail, as opposed to the tins and bottles. Definitely! I think it’s a really exciting time to be a bartender, this new style is clearly being embraced by the public too judging by the popularity of his video!